There is no real sunshine in the skies. There hasn't been for days....weeks....But I found some sunshine! 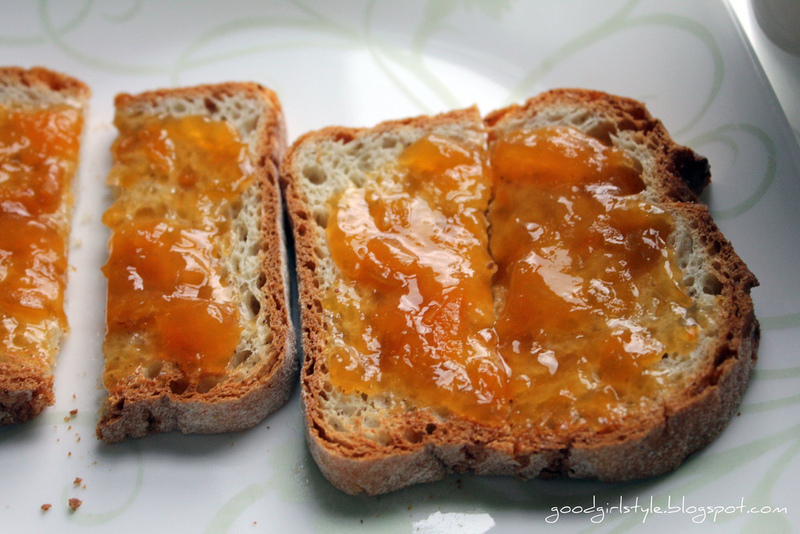 Pure, apricot sweet tartness in a jar! On my toast! Toast? 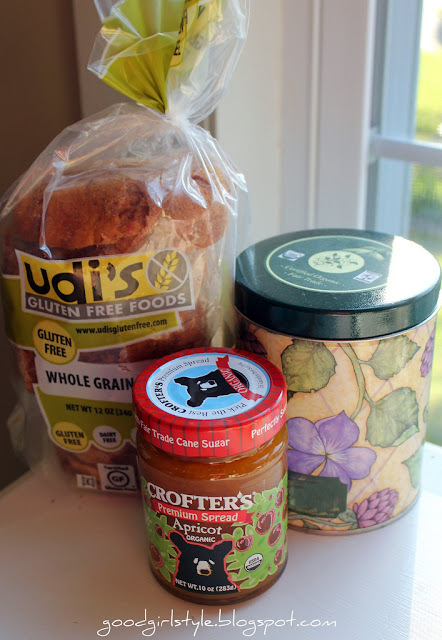 Actually good gluten-free bread!!! Good enough to eat straight out of the bag! Or use for sandwiches! It's true love! I canNOT get enough of this combination. I've been eating it night and day. Literally. For breakfast and a late night snack. Sometimes I even add a swath of natural peanut butter. Gooey deliciousness.